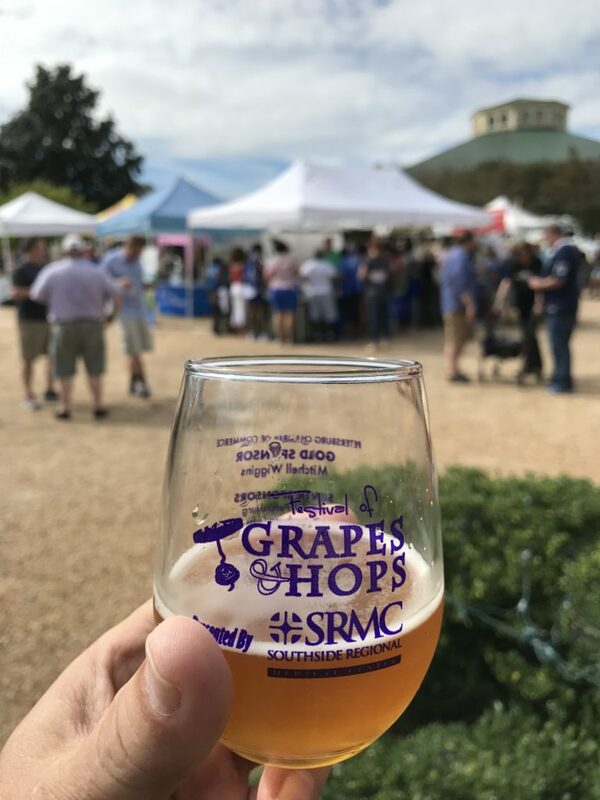 This year the Festival of Grapes and Hops took place last Saturday, Sep 29th, and it was great. 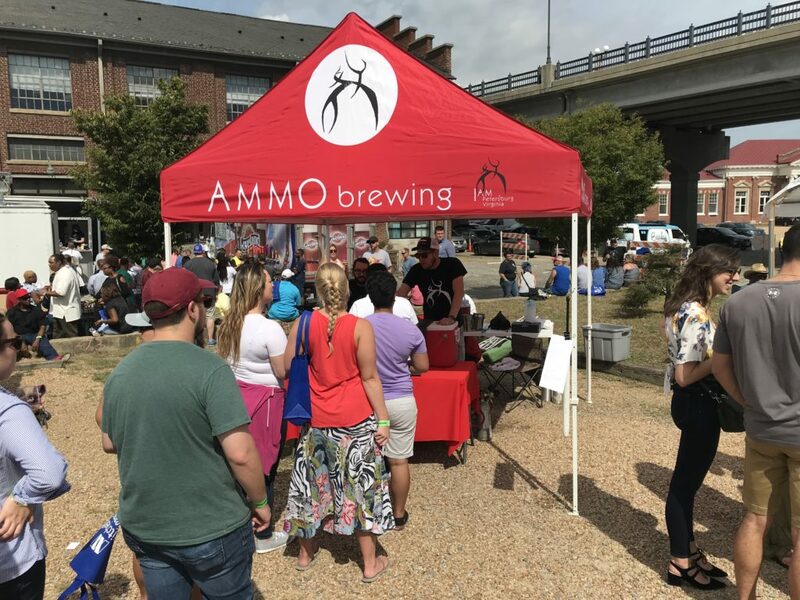 There were lots of beers from a multitude of craft breweries to sample- everything from classic beer styles and Oktoberfest beers, to experimental beers. Not to be outdone by hops and barley, there were also a number of wineries present with a full spectrum of wines for tasting and for sale. While I am primarily a beer drinker, I do occasionally enjoy a glass of wine, and did enjoy sampling a few wines at the festival. Black Heath Meadery was also there with samples of some of their finest meads, and they were pretty fine. And the food? The aroma of roasted turkey legs, brisket, pulled pork, jambalaya, and so much more wafting through the air. It was a great time NOT be on a diet. There were also some extremely talented performers there playing a wide range of music from classic rock to pop. Between the many beverage choices, delicious eats, and amazing music, and a beautiful sunny Saturday afternoon, I’m not sure there was a better way to spend the day. 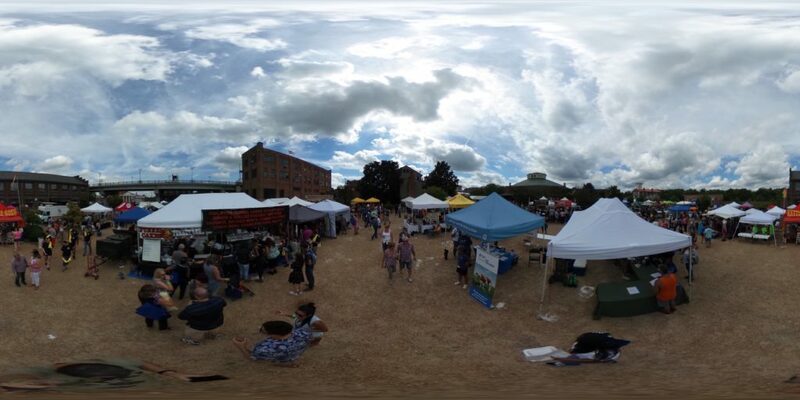 Thank you Petersburg, for a wonderful day, and the chance to sample so many different beers, wines, and foods, and thanks to all my new friends at the festival. Octoberfest at St. Benedict in RVA! Next story The Shockoe Stout! A colaboration beer from Enrichmond and Lickinghole Creek! Previous story Oktoberfest at St Benedicts in RVA- Were you there?